The night before I was due to leave for Chicago, I searched for the lone pair of earrings I wear almost daily: my pearls. I’d set them aside on Valentine’s Day in favor of a pair of festive pink earrings, and had not seen them since. I rummaged through two dressers, bathrooms, the kitchen, my closet and came up empty handed. ‘Ugh, those boys!’ I grumbled, certain one of the wonderboys was responsible for my missing earrings. It was past 1am and I was hastily shoving things in a suitcase so I could get a few hours of sleep. The professor regarded my frenzy with feigned interest. ‘We’ll find them,’ he muttered, desperate for me to finish packing and turn off the light. 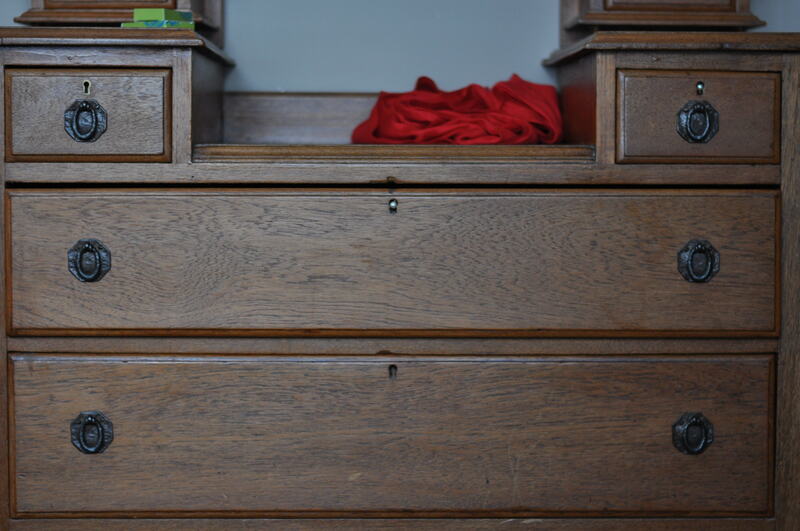 ‘It’s Percy, I know it,’ I insisted, remembering a day the previous week when I walked into the bedroom and caught him standing at the bed with the two small drawers from my dresser in front of him. The Valentine earrings lying on the floor, tossed aside, evidently, by ‘someone’. As I was lamenting my accessory-lot in life (the Gort had ‘discarded’ a pair of diamond studs when he was around the same age), a glint of something caught my eye. There, in the keyhole of my antique dresser drawer, sat a pearl earring. And, in the keyhole of one of the smaller drawers, sat another pearl earring. ‘The girl with the pearl earrings,’ I dubbed myself. Mostly because I’d just put a copy of the book in my carry-on. 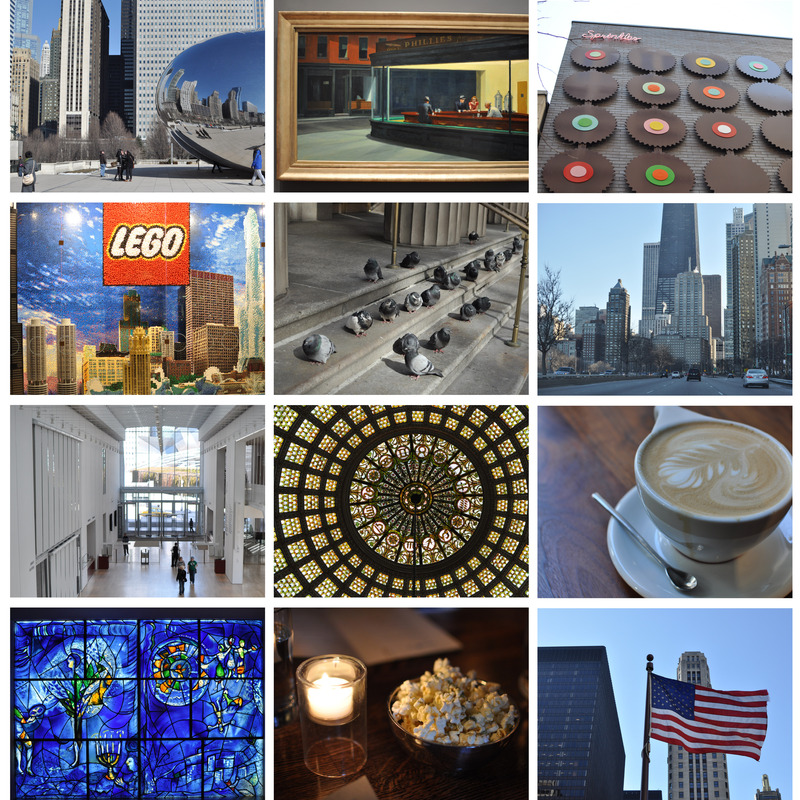 No matter, because I got to spend the weekend in Chicago. Even though I’ve been there a gazillion times, I never tire of walking around that seriously windy city; dwarfed by its enormous buildings. And I never tire of spending a couple of hours in the Art Institute, discovering something new each time I go. 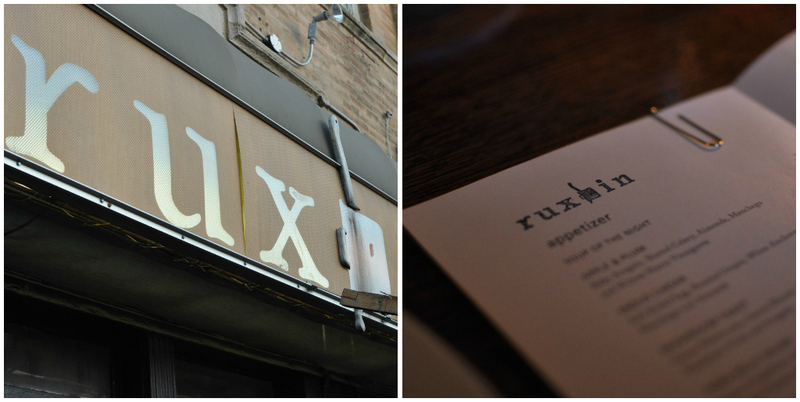 My sister and I consulted various ‘best of’ lists and settled on eating at Ruxbin Sunday night. It’s a no reservations kind of place so I suggested we show up half an hour before they opened. Like tailgating – without the food or the music. So we did and found out we weren’t the only people thinking that way. Before the doors even opened, there were twelve of us standing on the sidewalk waiting for one of the thirty-two seats. A guy named Nate emerged with a cafetiere and some disposable cups. ‘Would anyone like some tea while they wait,’ he asked. We surveyed the clear liquid with greenery floating at the bottom. ‘What’s in it,’ someone wanted to know. ‘Tarragon and barley,’ Nate disclosed. I took a cup, and sipped the clear somewhat bland liquid. ‘Is it legal?’ a tall, fellow tailgater asked, in a slightly southern twang. Finally the wait was over and we were ushered in. I stared at the menu for a few minutes before settling on the pork with sweet potato gnocchi and kale, sage and cranberries. Minor problem: it was served with kalamata olives. The waiter – who claimed to hate olives as much as I do – said he’d check with the kitchen. And it turned into an olive saga when I would have been fine with ordering the chicken instead. The kitchen insisted on sending me a bowl of cut olives ‘on the side’ and the waiter insisted I try at least one just so I could experience all of the flavors. And, feeling slightly bullied at this point, I did. And guess what: I still didn’t like the olive. It still tasted briny and unpleasant. Even with the addition of pork and gnocchi and kale. It reminded me of a dinner club conversation we had in Minneapolis many years ago. When someone made a remark about those people who, when you say ‘I don’t like something’ insist that ‘you just haven’t had it prepared the right way.’ And it also reminded me of a Gertrude Stein quote I’d read recently. Even though we’d indulged in Sprinkles’ salty caramel cupcakes, and Garrett’s popcorn just hours before, still we ordered dessert. 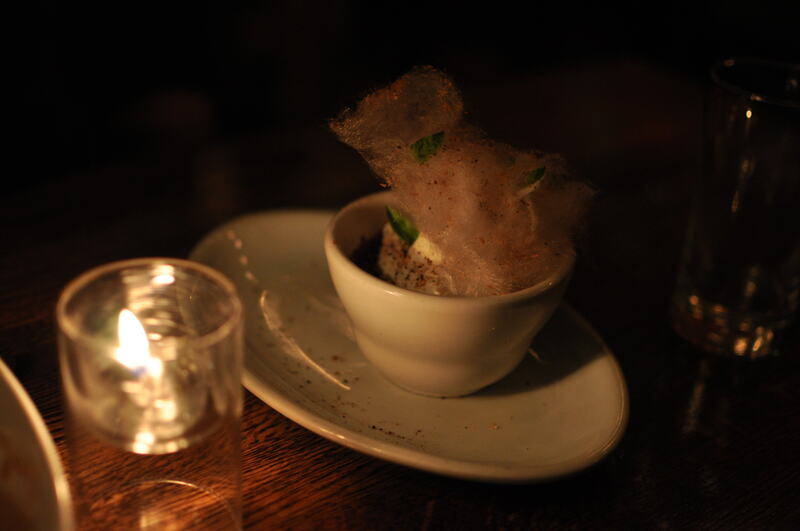 Because it’s not every day that you get to try a chocolate pot de creme with cumin tuile, bacon cotton candy and coffee chili salt. *Ms Stein, of course, said, ‘a rose is a rose is a rose’. Not sure what she thought about olives. Just try one bite… seriously maybe you don’t know WHAT you like…. Amen to olive aversion!! Just back last night from 12 days in Jordan and Israel. A place of major olive pushing – and I STILL think they’re amazingly gross! maybe the craziest dessert description I have ever heard…so how was it?? Elaine: ‘major olive pushing’ has got to be this year’s best phrase! Amy, it was really good. Tan, well now I like you a little more and I’m glad you appreciate my attempts at combining food and books. So, no martinis on your deck, then? OK, not to display my bitterness to openly, how come you got to get away to Chicago and I ended up “getting away” to Saskatchewan – in WINTER! As you like to say – seriously! I was almost snowed in… !!!! Roberta, yeah, I’m not going to lie. Saskatchewan…..or Chicago….it’s no contest. Hope you at least got excellent sleep?